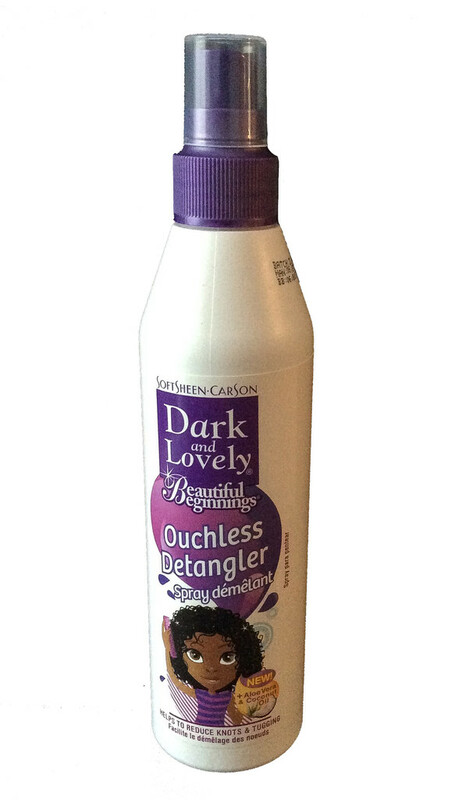 Dark and Lovely Beautiful Beginnings Ouchless Detangler 250ml. Dark and Lovely Beautiful Beginnings Hair Care System products are designed specifically for young girls’ delicate hair. This Product is infused with Coconut Oil and Aloe Vera that provide best protection and comfort for your daughter’s hair and scalp. Keep your little girl’s hair healthy looking, strong and manageable everyday with the full line of maintenance and styling products. Spray on damp or dry hair concentrating on tangled areas to condition and strengthen hair. Comb through with a wide-toothed comb. Great for use on natural or relaxed hair.